The Gitup Git2 camera that has been mentioned on other forum discussions interests me for my 3DR Solo. I have not seen any information if this camera will support Live View (FPV) to my cell phone on the controller? I've purchased other GoPro knock-off cameras and had no luck with FPV working, despite other discussions saying an camera with micro-HDMI output supporting FPV Live View. 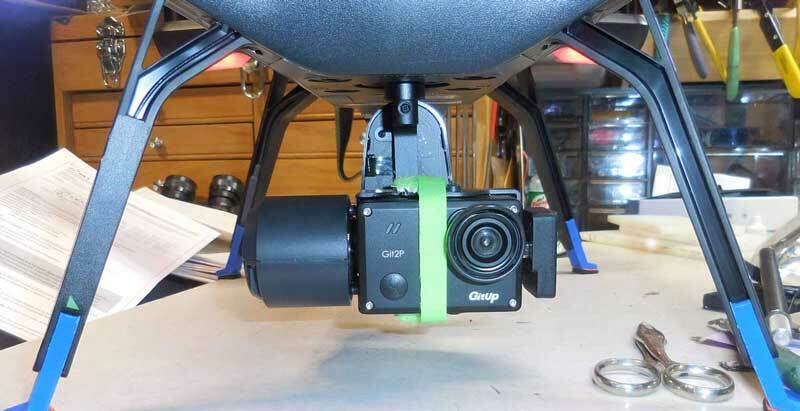 Does anyone have any experience of using the Git2 camera with live view FPV? The 4k capability of the camera and the price point make this a good option for me. I do not have a gimbal and will be using the Git2 camera without the gimbal. Like I said, I have other cameras with micro hdmi out and live view does not work. Looking for someone who can confirm live view does work with the Git2 camera, who had tested it. Yes, git2 updated to firmware 1.6 works (i.e. live view) using fixed mount and microHDMI. Just turn on "Image Rotation" in the settings. The video view is not upside down - normal one. I am now using a GITUP GIT2P camera on my SOLO. The camera has a 90 degree field of view with a 4.1mm lens, with no distortion, no fisheye. It has a 16MB Panasonic image sensor, plus image stabilization and it sells for $105. I can’t start and stop recording from my controller like a GoPro4, but none of my other drones can, so I don’t find this a problem. I do plan to set it up to automatically start recording when I power up the SOLO. The linear video and pictures, without fisheye effect look great. Use of this camera required some modifications to the SOLO gimbal, but I made sure that I can still use a GoPro if I want. The first problem I had to deal with was the connector that plugs into the back of a GoPro. I did not want to remove it, because I still want to be able to use it with a GoPro. 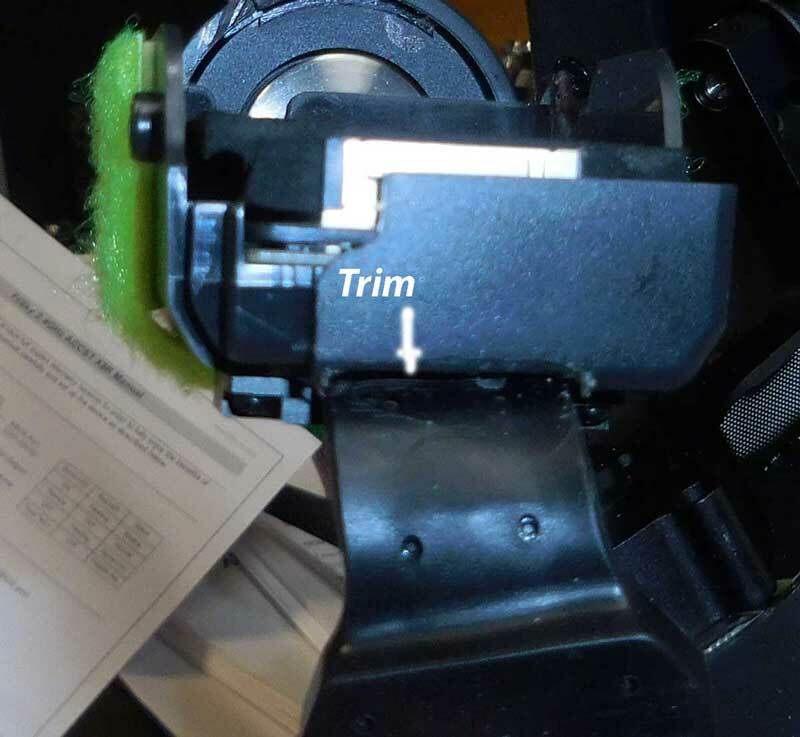 Since the GIT2P has to sit in front of the connector, I made a quarter inch thick pad for the camera to rest against (see photo), using the black dense foam that came with the gimbal. Then I carefully cut off the rounded tab, on the left side, that was used to hold a GoPro, but was now in the way. I use a Velcro strap to hold the camera in place. Velcro is simple and secure plus it makes it easy to change cameras. The HDMI cable was a couple of mm to short to plug into the camera. A small amount of trimming of plastic corner under the HDMI cable solved this problem. I was worried the gimbal would have a problem with the new camera sitting a quarter of an inch forward but it was not a problem. The fact that the Git2P weighs 23grams less than the GoPro Hero 4 Black helps. The gimbal functions as smooth as it did with a GoPro. Sherm, try experimenting changing the settings of R6 and R7 in Mission Planner, I think Andru Lee was able to make progress in control action camera with the gimbal. The Git2 works well in the gimbal BUT..
Is there a specific process of connecting/turning On the controller/Solo/Git2 or a setting? saw this browsing around.. wish I knew enough about these things to know if was the cause and I could simply stop the input 2 if that was the cause..
"The Git2 has the ability to receive a PWM signal via its Micro HDMI port from your receiver to control video recording and photo triggering. 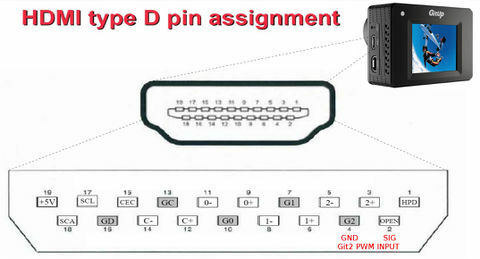 As to the specifics they can be found on the Gitup Site but in general a 3 position switch will be used on your transmitter. The middle position will be setup up as 1500µs and will do nothing. Low position, < 1250µs, will start recording video when switched. High position, > 1800µs, will take one photo when switched. If your transmitter channel is setup as 0%, 50%, 100% (or -100,0,100) for Low, Mid, and High you should be fine." After playing around with the various settings on the Git2, I was able to get live view and recording when I set the resolution to 1440 30fps or lower. It just doesn't work when I set the resolution to 2160. I'm not sure if that's a limitation or not but 1440 is good enough for what I need. Just happy to have live view and recording. See if those settings work for you. it seemed to work in 1080 / 60 last night but today I tried 720 @ 60 and it worked fine! Guess we need to try every mode and see which ones work! I've been using 1080p/60 and haven't had a single problem! I start Solo, hear the musical tones at startup then start the camera. Hasn't missed a frame. Do any of you have any video documenting your setup or would you be willing to post to youtube? I am trying to collect all the info I can on using the git2 with the solo and I have been sharing what little I know with other solo pilots interested in a gopro alternative. My solo arrives Tuesday from amazon. I am just about order the git2 3d parts via the "print" link on thingiverse, but I'm making sure I choose wisely since when you choose the same specs but order different parts, you only have pay one setup fee. I will let you know how it all turns out if interested and will probably post a video on youtube. 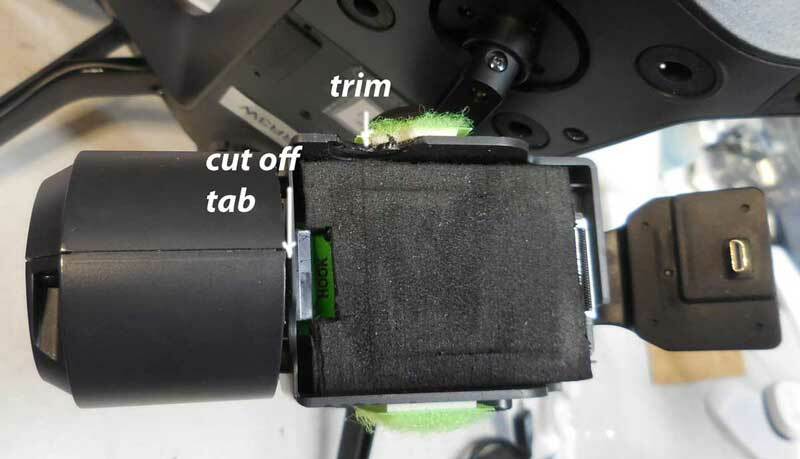 The stock solo gimbal HDMI connector works on this camera after you cut away a bit of the plastic underneath the connector - careful not to slice into the rubber covering the HDMI cable as I did, nearly slicing the wire, making my backup gimbal useless. The 3D printed parts are available and i purchased from "thingiverse.com", their 3D Co-OP-like printing service. The parts turned out really well and I got um relatively cheap because I ordered several parts at the same time all with the same base specs (color, fill-ratio, etc..) so I was only charge one $10 setup fee (the parts themselves cost anywhere from $1.50 - $6 depending on what I was buying and how many I was ordering. They have the free designs cataloged and the websites software does all the 3D printing calculations automatically (even lets you know if the part will not print correctly) and you do not have to get into all the nitty gritty of 3D printing stuff. I did not end up liking my setup though, atleast not once I got my gopro, so I returned the Git2. I decided I did not really want to mess with it any longer, because things seemed kind of flaky and unrealiable - but that was obviously just my experience - I gave up after how easy the gopro worked. "I have a Firefly 7S with the micro HDMI port and I can not get any FPV....."